Ancel Keys - Seven Countries Study | The first study to relate diet with cardiovascular disease. 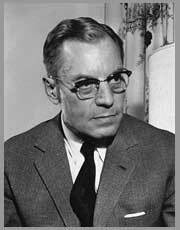 Ancel Keys (1904 – 2004) launched the Seven Countries Study in 1958, after exploratory research on the relationship between dietary pattern and the prevalence of coronary heart disease in Greece, Italy, Spain, South Africa, Japan, and Finland. Out of all his scientific accomplishment, the SCS is arguably the most important. Keys started his academic career as a biologist, obtaining his MSc and PhD in Berkeley in 1928 and 1930 respectively. After that, he specialized in physiology by pursuing a PhD at Cambridge, which he received in 1936. By the late 1950s, Keys had made significant contributions to the fields of osmoregulation, high altitude physiology, the nutritional basis of human performance and the biology of human starvation and rehabilitation. By starting the SCS, Keys could pursue the question of how dietary fat influenced blood cholesterol. He formulated the first ideas and assembled a team of like-minded scientists around him. During the first era of the SCS, it was Keys more than anybody else who was the driving force behind it. Although the still-unfolding story of dietary fat proved more complex than Keys envisioned. He was pioneering in the right direction – pointing out the cardioprotective effect of the Mediterranean diet and the ‘Keys equation’ on the effect of different dietary fatty acids on serum cholesterol levels, both of which still widely studied today. Keys was professor and director of the Laboratory of Physiological Hygiene at the University of Minnesota, School of Public Health between 1940 and 1972. He received various honors from the countries he worked in, and he and his wife Margaret wrote two bestselling cookbooks: Eat Well and Stay Well (1959), and How to Eat Well and Stay Well the Mediterranean Way (1975). He remained dedicated to the SCS until the end of his long life.